The concepts of being spiritually fruitful and financially profitable both have roots in crafting value for others via a creative process that is being emphasized in the Kingdom right now. People tire of retreading religious programs that worked in some other time or place, but have since lost their vitality. In the same way, they long for the latest smart phone with all the newest features. Creativity is very much an evidence of the Spirit of God working in the hearts of men. Getting connected with that process is essential to your destiny, and it has several earmarks. It’s beyond mental – Your mind is a good computer for assessing the strengths and weaknesses of a new idea. However, logical thinking is actually a hindrance in the creative process. The best ideas come right out of our hearts. The paradox is that we can’t obtain the mind of Christ through our minds. We have to connect with our own heart and the Father’s heart. When we hit on something creative, it works in the natural, and resonates in the hearts of other people. “Step one” in the creative process is getting beyond the mundane limitations of our intellect and touching the heart and power of God. When we touch that realm everyone can feel the difference; there is a miraculous ingredient that sets it apart. The Cyrus effect – Cyrus was a secular King used by God. In my own “God box” He can only work through Christians, but for some reason God seems to work through anyone He wants to. Pre-Christians are often creative, and right now many are unknowingly working on Kingdom initiatives in the marketplace first, and getting saved second. I’ve seen successful business people invited directly into the Kingdom who have been allowed to skip the poverty of religion. It’s actually a pretty good idea, which I have decided to support. It’s also exciting to see these 11th hour disciples join the team; I’m in love with them. They are already in touch with the hearts, creative and prosperous. God is already preparing many more to play their role in the Kingdom. It’s an amazing dynamic! I recently watched a TED video by Skekhar Kapur. He’s an Indian actor and film director in the entertainment mountain (I assume he doesn’t know Jesus yet?) Skekhar does a better job of explaining how he connects with his heart than any Christian speaker I’ve heard. His income and 7 academy awards ride on the shoulders of his talent to connect with the hearts of the people who watch his movies. The reason our hearts connect with the actors and plots in movies is that there is something communicated that stirs our hearts. I want to suggest that “something” is a theme or a word that the Holy Spirit is already saying to us; that’s why it resonates in our hearts. Our pre-Christian director friend is just the Cyrus in the process. It’s a prophetic experience. Out of the box – the key question in all this is, “How do we, as believers, enter this creative process?” The answer is Paul’s topic in 1 Cor 2. Creativity is the fruit of communion with the Holy Spirit. It is not just the venue for God to reveal new things to us. It’s also the place for us to bring new things to the table and get God’s response. 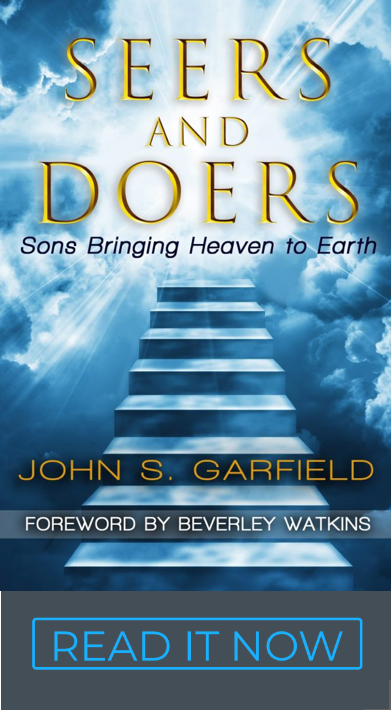 He delights in His sons and daughters when they come up with new ideas and innovations that have never before existed. It is both God’s nature and our nature to be creative. The critical first step is getting out of our mind and into our heart to have that conversation and “receive” or “produce” the revelation. Just verbalizing an idea is often enough to know if it has life and a future that will bear fruit. Practically – I am very attentive to two areas. I always carry a prayer diary with me and I’m constantly alert for some new insight to show itself. I also try to hear God in the words from my friends, authors, prophets, face book… everywhere. I want to hear what their hearts are saying. Revelation comes like a flash of light, and we have to capture the word or thought in writing to preserve it and nurture it into a complete idea or plan so that it can manifest on this earth. When I don’t write it down, there are times when I misplace the idea and can’t get it back, and have the feeling that I lost something important that was in my storehouse in heaven. When I really need an idea or a path forward, I fast – in this sense: I set aside time to pray in tongues and simply look with thanksgiving into the eyes of the Father and wait to hear his voice. When he speaks, I write. When I produce an idea, I write. When someone says something that resonates, I write. After that birth process, I can use my mind to fill in the details and make a plan. It is the persistence and privilege of Kings to seek the face of God in full confidence that an answer is waiting to be revealed. There is a connection between discovering the heart of God and discovering your own heart and discovering creativity. Give yourself permission to of get outside your script and outside the expectations of your mind, even outside your mental definition of God’s expectations. The window to see the Kingdom of God and the doorway to creativity is learning to quiet our mind and communicate with our heart. That’s where God is. That’s where the prophetic resides and that’s where relationships and passions run deep with meaning and purpose. It feels like love. Creativity multiplies – Creative ideas go viral. Creative business ideas multiply wealth. It’s God’s pattern. The disciples were told to go forth and multiply. All of creation was to produce after its own kind. Jesus told the parable of the sower and how the potential to multiply was always available in the seed. The stewards that multiplied the talents were richly rewarded, even to a multiplication of their multiplication. They were given cities, plural. Who knows the extent of these cities. The essence of creativity is multiplication, even exponential multiplication. Why don’t we see more creativity? 1). Creativity seems to threaten the status quo and traditions of the past. Actually it does not so much challenge most of these foundations, as it is an attempt to build upon them. To expand (multiply) them, seeing new facets and chipping away to expose a few of the hidden features. 2). An embrace of imbalanced theology. Dispensationalism, in all its facets, both in eschatology and the practical expression of that eschatology in interpreting the rest of the Bible. No creativity comes out of a negative world view and an “us against the world mentality.” This view ends with a dichotomy of the physical and spiritual and is nothing more than a re-iteration of the gnostic heresies that sought to destroy Christianity in the 2nd and 3rd centuries. 3). Like the unfaithful steward, we are often afraid to risk because we have not yet fully grasped the truth of the gospel that Christ came to open unto us an unlimited supply.